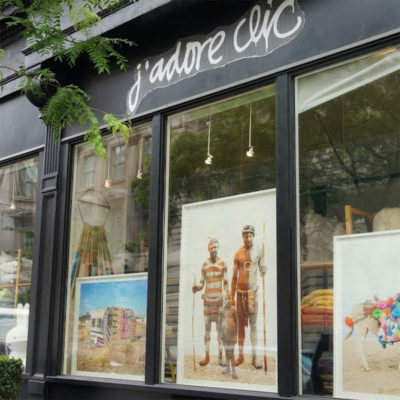 Founded by French-born Christine Celle, Clic Gallery features art, photography, books, fashion and home goods in a beautiful space on Centre Street. Prior to opening Clic, Celle was also the founder of the Calypso empire which she left to open this collection of gallery-bookstore hybrids. With locations in New York, St. Barts, Cannes and East Hampton, you’ll definitely notice a touch of French elegance throughout each outpost. The collection of work is unique, sophisticated and refined yet approachable and affordable. The collaborative efforts bring in all different photographers, artists and photographers to showcase their work in rotating exhibits.